This post is based on the results of ePath’s 2013 Survey of Canadian eCommerce/ eBusiness Managers, and provides additional insight and recommendations on ePath’s 15+ years experience in the Canadian eBusiness/ eCommerce space as both consultants and educators. According to the survey, only 16% of Canadian eBusinesses are “frequently unable to source the skills and experience needed on their eBusiness team.” This is surprising because it is in stark contrast to other global studies8 that show a growing global trend towards a skills shortage in key areas of the digital domain such as Web and Customer Analytics, Content Marketing, Social Media, Web Development, and Mobile. Why the discrepancy? Either we have unusually high supply of these specialized digital skills in Canada, or perhaps the average Canadian eBusiness is not really seeking and hiring top eBusiness talent in these areas. Perhaps the Canadian preference is to hire less-expert staff, and then develop that staff “on-the-job” as the job requires. Survey responses seem to support this Canadian preference for “internal development”. The survey reveals that 75% of Canadian eBusinesses use internal development to acquire the skills needed on their eBusiness team. But this raises another question: Who does the training, and how do Canadian eBusinesses ensure that they include global best practices in the training? Follow-on interviews with survey respondents showed that the quality of internal training is a concern for many eBusiness Managers. 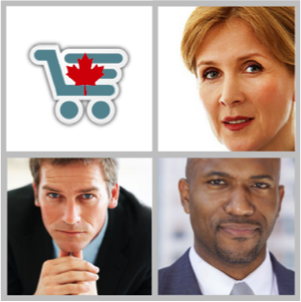 In our experience, most Canadian eBusinesses have not succeeded in building high-performance eBusiness teams. A lack of “best in class” expertise (by global standards) in key digital positions is one reason. Another is lack of “T-shaped” skills within teams. Both are addressable through focused training. In the University of Toronto’s eBusiness Management Certificate program, we focus on building T-shaped individuals, those with highly specialized skills in one area of eBusiness, but with a level of empathy and understanding of other digital disciplines on the team. T-shaped skills are especially important in the eBusiness environment, which is characterized by often “siloed”, highly-specialized skills within a highly-collaborative environment.